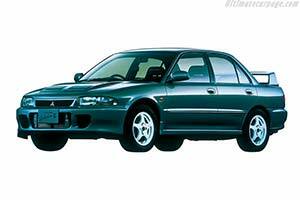 Replacing the Lancer EVO in early 1994 was the Lancer EVO II. Technically the two were very similar, but engine refinement resulted in 9 extra bhp. Aerodynamically the EVO II was slightly different compared to the EVO I. Like the EVO I, the EVO II sold twice as much as needed for homologation. The changes made paid off in the World Rally Championship where the EVO II took the Lancer's first victory.